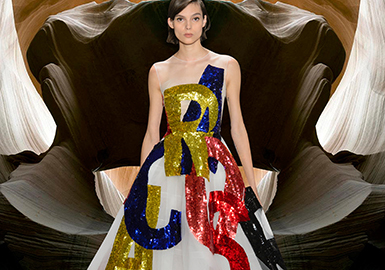 Since when the sequins are so chic? 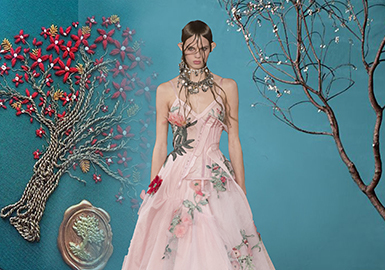 They are widely applied on the garments such as formal dress in this season and create a strikingly gorgeous look. Fresh and sweet, countryside wildflowers and sprigs are embroidered on formal dress in an all-over effect, ideal for young girls. 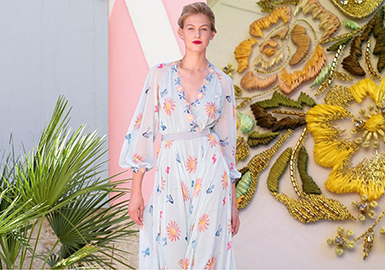 Three-dimensional flowers, beads and embroideries prevail on occasional dresses, but S/S 18 catwalks see sequins shine out. 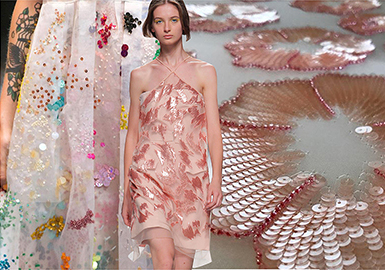 Glitzy sequins show different effects with diverse decorative approaches. 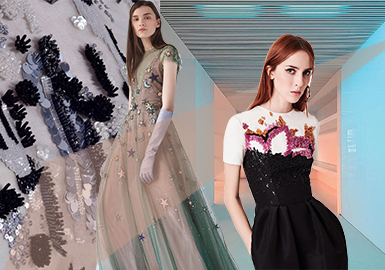 Let's discover how designers apply sequins at fashion shows. Chinoiserie or Chinese style is developed on the basis of traditional Chinese cultures, featuring a variety of domestic elements and combining them with global trends or lifestyles. In recent years, Chinese style is widely used in pop-culture areas, especially the apparel. Heavy chinoiseries have infiltrated the fashion world.